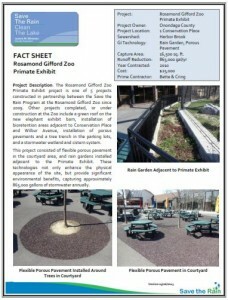 The Rosamond Gifford Zoo Primate Exhibit project is one of 5 projects constructed in partnership between the Save the Rain Program at the Rosamond Gifford Zoo since 2010. 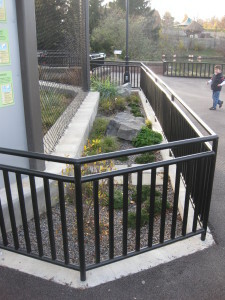 Other projects completed, or under construction at the Zoo include a green roof on the new elephant exhibit barn, installation of rain gardens adjacent to Conservation Place and Wilbur Avenue, installation of porous pavements and a tree trench in the parking lots, and a stormwater wetland and cistern system. 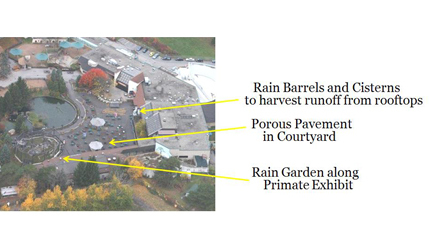 This project consisted of flexible porous pavement in the courtyard area and rain gardens installed along the edge of the primate exhibit. Rain barrels and cisterns were also installed in the courtyard to capture runoff from the rooftops. 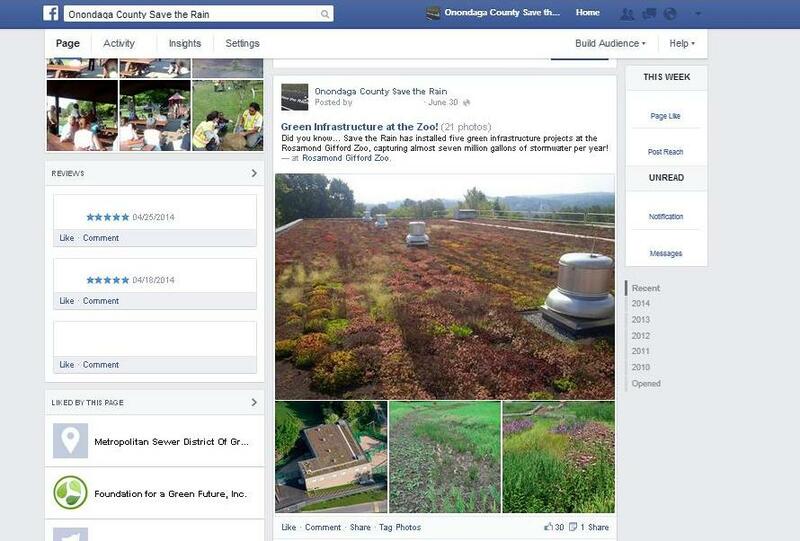 These technologies not only enhance the physical appearance of the site, but provide significant environmental benefits, capturing approximately 863,000 gallons of stormwater annually. Check out our complete photo album on Facebook!